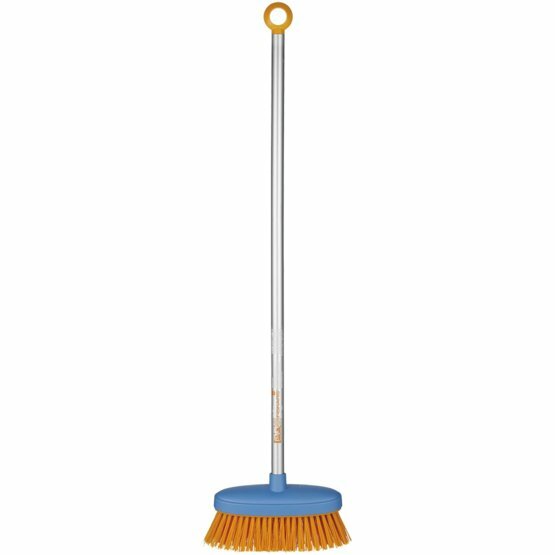 With bristles made from thick, but soft plastic material to maximize usage comfort and functionality, My First Fiskars offers a great first broom to make a clean sweep. Its head has a handy working width of 260mm to cover the ground easily and the shaft which is made of sturdy anodized aluminium will not bend or break even with vigorous usage. The signature orange handle loop has been designed to fit small hands and overall, the tool has been CE approved for safety. Bristles from thick, but soft plastic material to maximize usage comfort and functionality.